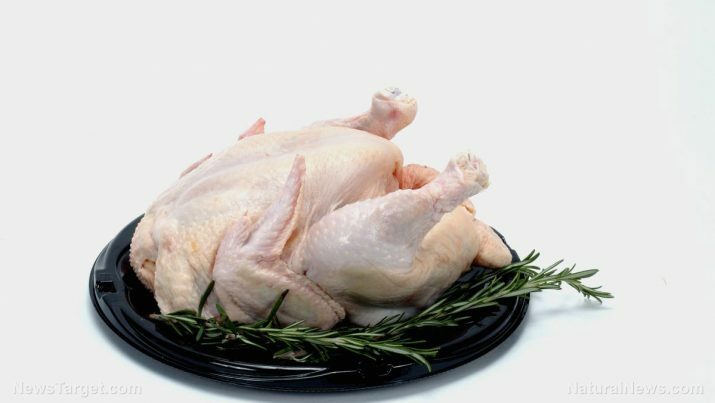 Chicken meat is one of the most popular and healthier lean meats in the market today. The poultry’s white meat is valued for its high nutritional value and rich, savory flavor. Chickens are believed to be first domesticated in India primarily for cockfighting and later for meat intake. Chicken meat has become a staple in Indian cooking since then. Chicken is primarily consumed for muscle buildup. Being a lean meat, it still is the best-known source of non-vegetarian protein. In fact, a single 100 gram serving of roasted chicken meat contains as much as 31 g of protein. This makes chicken meat especially beneficial for people who want to boost muscle buildup such as athletes. Chicken meat is also touted for its heart-healthy benefits. Chicken meat is found to be rich in vitamin B6, an essential nutrient that reduces the level of the compound homocysteine. The lean meat’s high vitamin B6 content are proven to cut the risk of suffering from a heart attack. Likewise, chicken meat is significantly rich in niacin, which in turn lowers the body’s cholesterol levels. The American Heart Association actually recommends consuming lean chicken meat over red meat due to its lower saturated fat content and high omega-3 levels. Aside from its cardiovascular benefits, chicken meat is touted to boost bone health as well. Chicken meat is rich in phosphorus and calcium that strengthen the teeth and promote bone health, as well as selenium that staves off arthritis. Likewise, chicken meat is an excellent source of magnesium that alleviates symptoms of premenstrual syndrome and fends off mood changes associated with the condition. On the other hand, the high zinc content in chicken meat is especially beneficial to men’s health as it regulates testosterone levels and increases sperm count. In addition, chicken meat is notably high in tryptophan and Vitamin B5. Both nutrients are known to contain calming properties that relieve stress. Soup made with chicken meat is also touted to boost the body’s over all immunity and protect it from common colds, flu, and other respiratory infections. Likewise, replacing red meat with lean chicken meat has been shown to lower the odds of developing colorectal cancer. Furthermore, the high protein content and low fat levels in chicken makes it an excellent choice for any weight loss regime. Chicken meat is touted to bolster the nervous system and brain health, as well as keep migraine at bay. Aside from this, chicken meat is known to stimulate hemoglobin production, thus reducing the risk of anemia. Chicken meat is also notably rich in vitamin A that fortifies the eye sight. Chicken meat is packed with essential nutrients that benefit various systems of the body including the heart and the circulatory, digestive, and immune systems. The lean meat is also beneficial to both the male and female reproductive systems, the brain, and nervous and respiratory systems. Being a popular lean meat, chicken is widely used in a variety of recipes. An article on CountryLiving.com has listed more than 70 delicious recipes that make use of chicken meat. Chicken meat prevents cardiovascular diseases, diabetes, and cancer. Likewise, chicken meat relieves stress, PMS symptoms, and anemia. Chicken meat benefits the heart and the circulatory, digestive, and immune systems. Chicken meat also supports both the male and female reproductive systems, the brain, and nervous and respiratory systems.